Shapes are no stranger to anyone who’s into their UK bass music. 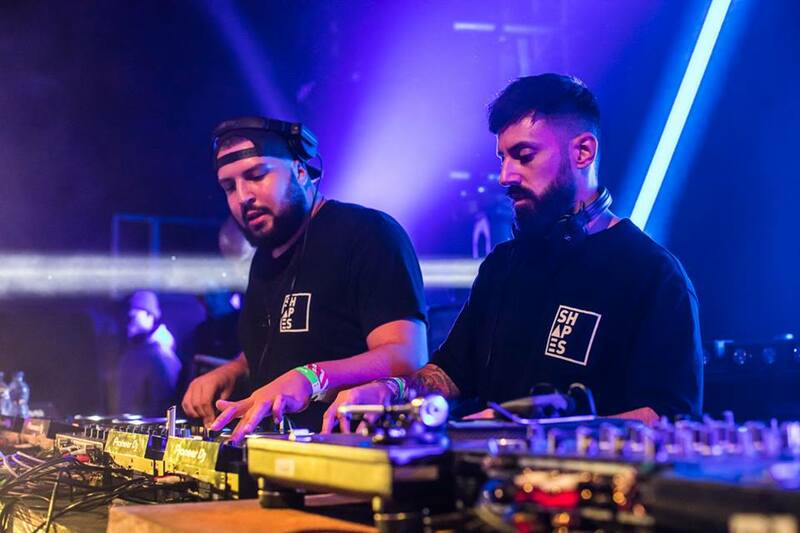 Their heavyweight #GASMinimix video mixes propelled them into the spotlight back in 2016, showcasing the surgical skills that have earned them high profile bookings at Hideout Festival in Croatia, Nass Festival, Invaderz Festival and Boardmasters. It wasn’t long before they were producing some of the biggest bass house bootlegs of the last 2 years including ‘KMT’, ‘Gammy Elbow’ & ‘No Problem’, culminating with their all-conquering official remix of TC’s drum & bass anthem ‘Tap Ho’, included on the scene snapshot ‘Pure Bassline Anthems’ mixed by DJ Q & Jamie Duggan. Fast forward to the end of 2018 and Shapes have released original music on UK bass music legend DJ Zinc’s Bingo Bass and home-grown international sensation Circus Records. ‘Mumbai Silence’, ‘Waiting’ and their collaboration ‘Cold Individual’ with Doctor P have all seen wide support from Skepsis, Holy Goof, Dillon Francis, S.P.Y., JAUZ, Notion and countless more, bass institution UKF even choosing two Shapes productions for their ‘Bass Culture 4’ compilation. Armed with exclusive tunes and bass weapons their quick-fire mixing, tricks and double drops mixed live over 4 decks will bring the energy to any venue. Shapes are well known for causing a ruckus wherever they go, and with an armoury like theirs there’s no stopping them!